President Donald Trump tweeted that Germany pays "FAR LESS than they should on NATO & military." Both Trump and Merkel took part in meetings of NATO and G7 leaders held last week in Brussels and Sicily, respectively. While in Brussels, Trump reportedly told European Union leaders that “the Germans are bad, very bad,” a comment that forced Gary Cohn, the director of the national economic council to explain that the president was unhappy only with the U.S-Germany trade relationship, not the longtime American ally itself. Tuesday morning, Trump once again went after Germany in a post to Twitter that appeared online before 7 a.m.
“We have a MASSIVE trade deficit with Germany, plus they pay FAR LESS than they should on NATO & military. Very bad for U.S. 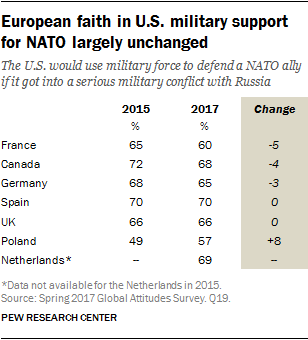 This will change,” he wrote, echoing a point he made in an address at NATO’s headquarters where he called on members of the trans-Atlantic treaty to spend more on defense. 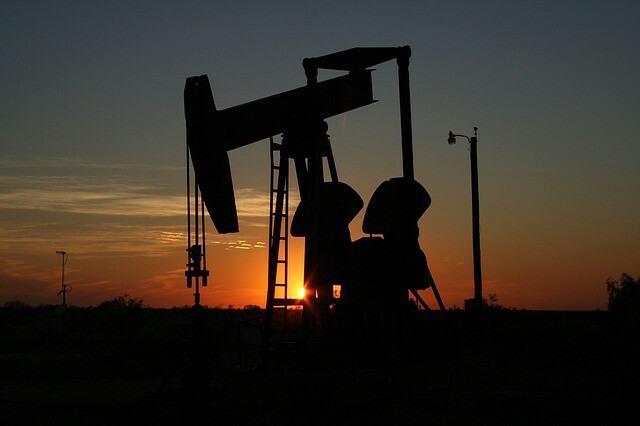 If Data Is the New Oil, Where’s the Spot Market? For decades, data has been the fuel that powers business. But we’re still figuring out how to use this new power source efficiently, and our economic and social arrangements have not yet adapted to the changes (The Economist). As machine-learning based artificial intelligence becomes the foundation of a new kind of economy, companies have learned to hoard data. But they haven’t figured out a convenient or standardized way to trade it. In this way, it’s not like oil at all — or maybe it’s like oil was before Standard Oil standardized it. Data isn’t a commodity, yet. That’s because we don’t know how to turn it into fungible units, and we don’t yet know how to track fluctuations in its value depending on timing and context. But this is the kind of problem that processing power and good algorithms will probably solve over time. We’re just scratching the surface of this technology’s capabilities — think PCs in 1982 or the Web in 1994. The challenges that aren’t going to vanish with time include: How happy are we with monopoly control over different kinds of data? And how do we establish and apportion ownership rights in data? In the U.S., the monopoly question will remain theoretical as long as Republicans control government. But that won’t be forever, and the rest of the world is already at a very different place on this issue. The other big challenge to the development of open data markets lies in transitioning away from the grand bargain that drives today’s online business, in which individuals let big platforms use their data to target ads and get free services in return. This arrangement might well come to look less attractive to users in time. We could even end up thinking, as one economist at Microsoft Research tells The Economist, that “data is labor.” That would mean that the oil reserves of the future aren’t some kind of external treasure to be claimed; instead, they’re something each of us creates every day. It was a nightmare rerun: At the last minute in France’s hotly contested presidential election last week, hackers publicly dumped a stolen trove of private emails from one candidate’s campaign. As with the dirty tricks played on the Clinton campaign in the U.S. last year, iIt sure looked like an effort to aid a right-wing candidate by sabotaging an opponent. But in France, the move failed to make a difference. There were multiple reasons for the failure of the hack (Bloomberg): It was late, it was poorly organized, there was no smoking-gun revelation in its mountains of data, and its organizers (assumed to be Russian-backed, as The Guardian reports) mixed obviously fraudulent forgeries in with the stolen data. But the French system also used some intelligent circuit-breakers that other countries might well study. 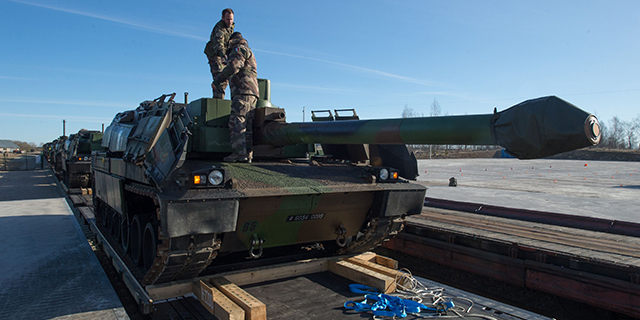 French law dictates a media blackout on campaign messages on the day before the election. Maybe there’s something to that? Obamacare was, among other things, an investment in healthcare, and it has been effective, as many investments are, at creating jobs. The healthcare industry has been the engine of employment growth over the past decade. If the Republican plan to repeal and replace it with the AHCA is passed into law, we should be concerned about the risks not only to Americans’ health but also to their jobs (The New York Times). Critics of the Obama health law argue that its rules and requirements dampened business growth. Supporters say moving tens of millions of Americans onto health insurance is worth it. Economists often talk about healthcare as if it were an abstract good, just another kind of widget. But as The Times’ Patricia Cohen reminds us, when we make choices in this realm we can’t help couching them in moral terms. We fight over who “deserves” coverage. Supporters of the Trump plan argue that it’s reasonable to charge sick people more for health insurance. Healthy people who have “led good lives” (as one GOP congressman put it) shouldn’t subsidize smokers and the overweight. But shared risk is the basic principle behind insurance, say AHCA’s critics. If you go too far down the rabbit-hole of who “deserves” a good deal on healthcare, it gets ridiculous. You ski, I don’t. Why should my insurance dollars pay for your broken leg? We could track every choice we make every day, every morsel we eat and every risk we take, and feed it into a health-insurance-rate matrix — but is that a world we want to inhabit? Healthcare is not a widget. It’s a basic prerequisite for individual security in a civilized society. Even Republicans have grudgingly begun to accept this principle. The argument now is simply over how to pay for it. A recent report on talent attraction winners and priorities in Europe is the focus of this contribution by Roger Hobkinson, Director of Destination & Development Consulting at Colliers International. Learn which cities are leading in the race for talent, which are the priorities and what city brand managers can do to not be left behind. Advice for city brand managers and developers on how to attract talent and business. I expect many reports from around the world catch the eagle eyes of The Place Brand Observer. 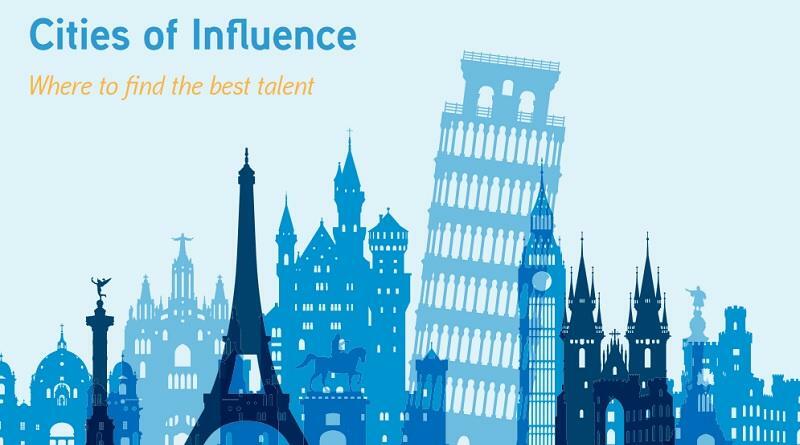 This was certainly the case with the report written by Colliers International’s European Research team, titled European Cities of Influence: where to find the best talent. As a global top four real estate advisor, the purpose of the report was to help our corporate clients understand which cities they might want to focus on, depending on their specific corporate objectives and requirements. Cities where the economy and workforce is significant in size, but also well-suited, or oriented, towards a modern, digital age. Cities which have the latent capacity to grow or expand their occupier base, driven by both the size of untapped, skilled talent pools and fresh talent coming through universities. Cities where the cost of living is more affordable, where there is a higher probability of being able to save, and where both the cost of labour and real estate is low. Cities which sit within countries where country credit, trade, regulatory and political risk are manageable; and where regulations surrounding the flexibility of labour laws are favourable to occupiers. Twenty of Europe’s leading cities were ranked on the above categories. London and Paris lead, no surprise there, but notable successes included Manchester, Dublin and Stockholm. Whilst Madrid and Barcelona fail to build on promising foundations, Berlin, Milan and Brussels find themselves in the bottom half of the table. The report can be accessed here. I had a good chat with Damien, who confirmed several months on from the report’s release that it stimulated considerable debate amongst Colliers’ existing and target clients. Many confirmed that attracting and retaining talent is increasingly important; especially at a time when European economies are recovering and growing, unemployment is falling and labour markets are becoming tighter. Interestingly, different business sectors are placing different emphasis on the importance of talent. Tech companies are really at the vanguard of looking for locations with the best experience for target employees. Finance companies, on the other hand, are more concerned with having the right address and business regulations. An overall trend is for Millennials/Generation Y to gravitate towards certain businesses. In the war for talent this is forcing “older” businesses to up their game. My question to Damian was: yes we know about costs, critical mass of business size, labour market etc., but surely an important missing ingredient in the analysis is the “sizzle” that a place offers – the lifestyle opportunities that will attract talent and thus businesses? As Millennials and the emerging Generation Z (born “on the Internet”) start to dominate the working population — lifestyle opportunities will be increasingly important, We both agreed that those should be captured in a future version of the Colliers “Cities of Influence” programme. This demographic change means that cities, workplace projects and businesses will have to work harder to attract and retain talent, especially with many of them looking to move between various jobs and cities where they feel their skills, ambitions and lifestyle goals are best served. Linked to the previous point, urban buzz is another priority for talent attraction, judging by the research presented in the report. The demand from business is increasingly for office products located in dynamic, attractive city centres with an excellent urban environment, plus high quality accessibility. This also reflects the preferences of Millennials for attractive urban spaces to work, live and socialise in. Cities that offer appealing city centre office spaces will be increasingly favoured by skilled talent. Out of town business parks will need to bring out their advantages and how they can provide an attractive solution to both businesses and talent. We’ve worked in numerous cities and projects where we have had to be clear on a market proposition. In St. Petersburg, Florida (USA), the city is attempting a real turnaround by positioning itself as an innovative lifestyle city, moving away from its old reputation as a place to retire in. In St. Pete they are now developing an exciting proposition with real estate and city districts, such as the emerging Pier District, to help grow its appeal to all ages, but especially to attract younger age groups and families, which is increasingly happening. In Cork, Ireland, one of the propositions from our recent brand strategy work to help elevate Cork internationally that stuck was “Big on Life.” It expresses the fact that, for a second tier European city, Cork offers a considerable variety of lifestyle opportunities. A second powerful value proposition for Cork was that the city had a surprising depth and critical mass in the technology sector. This message appeals to talent from not just Europe but around the world. With the city home to tech companies like Apple, EMC and Irish success stories such as Voxpro, this gives international talent the confidence to move to Cork for a job with Apple, but with the knowledge that if it doesn’t work out, there are lots of other job opportunities in the city. The post-recession world is very different to the past. Across Europe, competition and collaboration between city regions is intensifying for jobs, visitors and talented people. The single European currency, tax harmonisation, likely increased EU “control”, plus – of course – Brexit, will mean cities across Europe will have to increasingly develop strong brand and marketing strategies as part of their economic development story. Cities like Manchester, Marseille, Gothenburg, Rotterdam and Barcelona are moving fast. These cities are investment-ready. They are seen as having their act together and realise that they are in competition for investors, developers, occupiers, tourists and talented people. I’ve attended the worlds’ leading real estate and city marketing conference, MIPIM, held every March in Cannes. Each year an increasing number of European (and global) city regions attend. With over 20,000 investors, developers, architects, property advisors, engineers and corporate businesses in attendance, it is not surprising some 400 European and global cities attend. All promote themselves, have conversations and do deals to help bring forward development projects that house the businesses and jobs that generate jobs and wealth for their people. Cities that don’t have such a “go to team” or don’t deliver their message internationally, or don’t play the rankings game effectively to understand what, how and when to communicate with their target markets and segments, will increasingly run the risk of being left behind in the war for talent and business. French President Emmanuel Macron said his extended handshake with Donald Trump before a NATO summit was “not innocent” and intended to show he did not make even small concessions. In the interview, Macron went on to compare Trump’s attitude to power with that of Russia’s Vladimir Putin and Turkey’s Recep Tayyip Erdoğan. “Donald Trump, the Turkish president or the Russian president believe in the logic of the trial of strength, which doesn’t bother me. I don’t believe in the diplomacy of public invective, but in my bilateral dialogues, I don’t let anything pass, that is how we are respected,” he said. German Chancellor Angela Merkel at the Trudering fest on Sunday in Munich. Did Angela Merkel just draw a line under the Western postwar order? The qualifiers “fully” and “some extent” weren’t unintentional; with this German chancellor, little is. So what at first listen may sound like a major departure from Germany’s commitment to the transatlantic alliance is, in fact, consistent with Merkel’s rhetoric ever since Donald Trump was elected U.S. president. It’s also in keeping with her agenda to push European integration forward, a goal she believes the election of Emmanuel Macron as French president has put within reach. 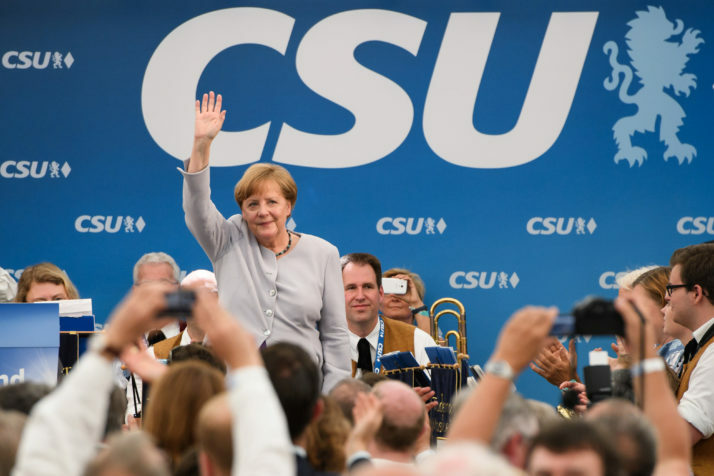 And it may signal that Merkel, for the first time in her dozen years in power and approaching her fourth election in September, sees Europe as a vote winner. Like any good politician, Merkel knows how to play to her audience. 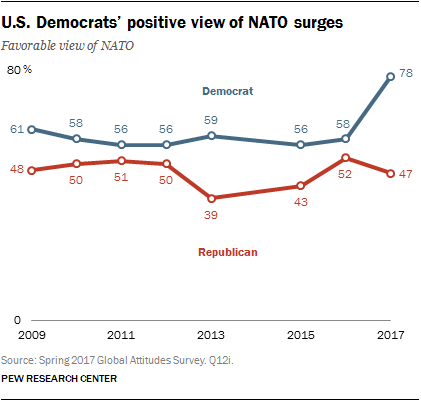 And in Germany, a healthy dose of U.S. criticism always goes down well, especially in the age of Trump — and as an added benefit, just a few months before a national election. Recall that Gerhard Schröder used German distaste for George W. Bush and a still-to-come war in Iraq to help him to an electoral romp in 2002. And for her part, Merkel hasn’t shied from embracing a still popular America president in Germany, Barack Obama, whom she hosted in Berlin only on Thursday, the same day she met Trump in Brussels. 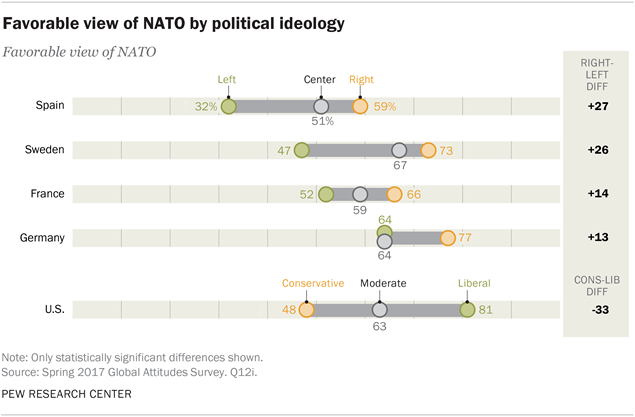 There’s a difference between German chancellors’ views about the U.S. and the person in charge at any given time. It’s possible that Sunday marked the beginning of a tectonic shift away from the U.S., but it’s also too early to say. Speaking on Sunday, European Council President Donald Tusk suggested the EU has little to gain from going ahead on its own — even if it wanted to. But Netflix didn’t shun all algorithm and data efforts. To the uninitiated, it may seem that Netflix’s analytics go only as far as views. They may also think that the show House of Cards was chosen because Netflix “thought subscribers might like it.” But the truth is much, much deeper. The $100 million show wasn’t green-lighted solely because it seemed like a good plot. The decision was based on a number of factors and seemingly almost entirely on data. The reality is that Netflix is a data-driven company. Saying that Netflix chooses new content based on “whoever they can get a license with” is a very thin and vague statement. Netflix does need licenses from studios, but they don’t just pick movies and television shows at random. The core job of analytics is to help companies gain insight into their customers. Then, the companies can optimize their marketing and deliver a better product. (Without analytics, companies are in the dark about their customers.) Analytics gives businesses the quantitative data they need to make better, more informed decisions and improve their services. So how does Netflix use analytics? At current count, Netflix has 98.75 million worldwide streaming customers. Having this large user base allows Netflix to gather a tremendous amount of data. With this data, Netflix can make better decisions and ultimately make users happier with their service. Traditional television networks don’t have these kinds of privileges in their broadcasting. Ratings are just approximations, green-lighting a pilot is based on tradition and intuition. Netflix has the advantage, because being an internet company allows Netflix to know their customers well, not just have a “persona” or “idea” of what their average customer is like. Let’s look at an example. If you’re watching a series like Arrested Development, Netflix is able to see (on a large scale) the “completion rate” (for lack of a better term) of users. For example, the people at Netflix could ask themselves “How many users who started Arrested Development (from season 1) finished it to the end of season 3?” Then they get an answer. Let’s say it’s 70%. They then gather this data and see user trends to understand engagement at a deep level. If Netflix saw that 70% of users watched all seasons available of a cancelled show, that may provoke some interest in restarting Arrested Development. They know there’s a good chance users will watch the new season. Netflix also looks at data within movies. They take various “screen shots” to look at “in the moment” characteristics. Netflix has confirmed they know when the credits start rolling; but there’s far more to it than just that. Some have figured these characteristics may be the volume, colors, and scenery that help Netflix find out what users like. Why does Netflix want to know when the credits roll? They probably want to see what users do afterward. Do they leave the app or go back to browsing? Notice how Netflix now offers movie recommendations (they have personalization algorithms that aim to accurately predict what users will watch next) soon after credits start (or, for television shows, they automatically play the next episode). So now that they have this data, they can ask themselves “How do we help users watch at least 15 hours of content per month?” One idea: enable post-play, which automatically plays the next episode of a TV show unless the user opts out. For movies, show movie suggestions (based on the rating of the movie just watched) right after the credits start rolling and allow users to press play right from that screen. Netflix can add this feature to their web and mobile apps and, again, through analytics, see the results. This is only a theory of how Netflix came to the decision to implement post-play and an example of how analytics can help Netflix make decisions. I don’t have any inside information. So all of this data and the large user base allow Netflix to quickly see trends and formulate opinions. Later, we’ll get into the factors that made them green-light House of Cards. As part of the on-boarding process, Netflix asks new users to rate their interest in movie genres and rate any movies they’ve already seen. Why do they do this right up front? Because helping users discover new movies and TV shows they’ll enjoy is integral to Netflix’s success. If people run out of movies they want to watch and have no way to find new movies, they’ll cancel. It’s important that Netflix puts a lot of focus on making sure they have an accurate algorithm for this rather than having users rely on outside sources to find new movies. Is the recommendation algorithm accurate and successful? Since 75% of viewer activity is based on these suggestions, I’d say it works pretty well for them. As we can see, the algorithm is evolving. There are entire teams (Netflix has over 800 developers in total) working on it. It’s not static because user behavior and the Netflix product are changing. For a deeper description of the algorithm, check out this post written by the people who design and work on it. As always, our product team has dozens of tests running in the endless quest for even higher member satisfaction. One test that won conclusively last year and has now been rolled out to all members is our new “thumbs-up thumbs-down” feedback model, replacing the 5-star model we have had from our DVD days. The amount of usage we get with this new approach is over twice as many ratings. With this additional personal input, we’ll be able to improve personalization, making your front screen on Netflix even more relevant. In 2011 Netflix made one of the biggest decisions they’ll ever make. It wasn’t anything material, but rather it was about content. They outbid top television channels like HBO and AMC to earn the rights for a U.S. version of House of Cards, giving them 2 seasons with 13 episodes in each season. At a cost of $4 million to $6 million an episode, this 2-season price tag is over $100 million. Netflix has undoubtedly made other big money investments before (shipping centers, postage costs, etc. ), but nothing like this on the content side. So why did they make such a big bet, and how did analytics factor into the decision? Let’s get into it. Each of these 3 synergistic factors had to contain a certain volume of users. Otherwise, House of Cards might belong to a different network right now. Netflix had a lot of users in all 3 factors. Swasey says it’s not just the cast and director that predict whether the show will be a success. “We can look at consumer data and see what the appeal is for the director, for the stars, and for similar dramas,” he says. Add this to the fact that the British version of House of Cards has been a popular DVD pick for subscribers. Combining these factors (and the popularity of political thrillers) makes it seem like an easy decision for Netflix to make. The only question was how much they were willing to invest. We’ll get into the early ROI numbers a little later. Before a movie is released or TV show premiers, there’s typically one or a few trailers made and a few previews selected. Netflix made 10 different cuts of the trailer for House of Cards, each geared toward different audiences. The trailer you saw was based on your previous viewing behavior. If you watched a lot of Kevin Spacey films, you saw a trailer featuring him. Those who watched a lot of movies starring females saw a trailer featuring the women in the show. And David Fincher fans saw a trailer featuring his touch. So now that the first season has run, let’s look at some of the early metrics. These won’t determine immediately whether the House of Cards investment can be considered successful, but rather the trajectory that it’s on. What do you think the average success rate is for new TV shows? In other words, if a television network green lights a new TV show, what are the chances it will be profitable or won’t be cancelled after a couple of seasons? The answer is 35%, on average. When a network green lights a show, there’s a 35% chance it succeeds and a 65% chance it gets cancelled. At the time of this writing, Netflix has 7 TV shows, of which 5 have been renewed for another season. If this rate can continue for years, the Netflix success rate will be about 70%. So why does Netflix renew shows at a higher rate than conventional television networks? Does the data make the difference? Is the success rate legitimate or can you not compare an Internet television network to conventional TV networks? Has House of Cards been a success? It has brought in 2 million new U.S. subscribers in the first quarter of 2013, which was a 7% increase over the previous quarter. It also brought in 1 million new subscribers from elsewhere in the world. According to The Atlantic Wire, these 3 million subscribers almost paid Netflix back for the cost of House of Cards. And what about current subscribers? Does having House of Cards make them less likely to cancel their subscription? Yes, for 86% of them. What can be safe to say is that House of Cards gives all Netflix subscribers one less reason to cancel. How big or how small the reason is arbitrary. Weeds was a pretty popular show on Showtime. It also has been streaming on Netflix for quite some time and has been one of their most viewed shows, according to their “Popular on Netflix” section. So when creator Jenji Kohan had the idea for a new TV show, Netflix knew they had to jump in. To be able to get a series with the popularity and quality of Weeds would be a big hit, especially in a lineup next to House of Cards. Early metrics show that Orange is the New Black is getting off to a more successful start than Arrested Development and even House of Cards. In the next section we’ll take a step back and look at the big picture of how analytics is helping Netflix. By now, you probably can guess that Netflix doesn’t blindly pick which movies to stream. Licensing movies from studios is expensive, so Netflix uses data to help them decide. There are only a limited number of movies to license. For example, a popular new release may not be available immediately, but a year later it might be. There is a vast number of movies available for Netflix to pick from, just not every movie available. So Netflix has to find which ones its users will enjoy the most. “We look for those titles that deliver the biggest viewership relative to the licensing cost. This also means that we’ll forgo or choose not to renew some titles that aren’t watched enough relative to their cost. There you have it… That last sentence tells it all. They need to know what people watch and what people like in order to decide on new titles. If no one watched anything, they’d be in the dark. Now you can see that their analytics is a big help in deciding what movies and TV shows to select. They are not, as McCabe put it, a “broad distributor,” possibly stating a differentiation from Hulu. At a $7.99 per month per member pricing plan, Netflix cannot afford to add every box office hit. They need to be smart about their decisions and take full advantage of their analytics. Being cost efficient and making users happy is a skill that is central to Netflix’s success. Let’s use an example of how they might combine smart economics while also maximizing user happiness. The Dark Knight was an extraordinarily popular movie, netting over $1 billion at the box office. Netflix knew that its users would enjoy it if they streamed it, but the studio wanted a very high price for it. Netflix could pay the rights to stream it for a few months, or they could get 6 other quality movies that they knew users would like. So what do they do? What brings the highest happiness per dollar? In other words, instead of getting The Dark Knight, they could get other movies with the same actors and director. They could add Memento (directed by Christopher Nolan), Brokeback Mountain and A Knight’s Tale (starring Heath Ledger), Thank You for Smoking (starring Aaron Eckhart), Stranger than Fiction (starring Maggie Gyllenhaal), and The Machinist (starring Christian Bale) for (or near) the price of one license to The Dark Knight. What route would you choose? Again, this is just a hypothetical, but it’s probably safe to say that this is a common situation Netflix faces. Let’s look at another example. Parks and Recreation is popular for Netflix and has good metrics (people watch the entire show, re-watch some episodes, and frequently rewind certain parts). One of the actors is Adam Scott (maybe some users rewind scenes with him in it), and they have the option to add a few cost-efficient movies with him. Do they do it? At the time of this writing, they do. There are 7 Adam Scott movies available to stream instantly, one an independent film where he is a main character. Along with these tactics, Netflix also studies piracy sites to help them decide what content to purchase. One show they picked up as a result is Prison Break, which has been heavily pirated. When asked to name the 3 things he learned form Reed Hastings, Netflix co-founder Mitch Lowe said focus, analytics, and pour money into the things that are working best. Now, let’s take a step back, look at the big picture, and see Netflix’s aspiring goal. In their own words, Netflix wants “to become HBO faster than HBO can become Netflix.” They’re adding shows at a rapid pace, with the goal of adding at least 5 new shows per year according to Ted Sarandos, Chief Content Officer. As of February 2013, he had $6 billion available to him to choose content for Netflix streaming. This money goes to pay for licensing fees from cable companies and studios, but $300 million is for original content, according to GQ. Some of that original content will not be just TV shows, but also exclusive documentaries and stand-up comedy specials. Comedian Aziz Ansari will debut his standup special, Buried Alive, on Netflix. It’s slated to debut November 1st. And on October 14, Netflix will debut another stand-up special and documentary series by comedian Russell Peters. If you’re interested, Wikipedia has a great page that lists out all current and future Netflix programming. HBO has a slew of original content in addition to their licensing of movies commonly not on networks such as TNT, TBS, USA, AMC, etc. In April 2013, HBO premiered the Louis CK standup Oh My God. Clearly the HBO model has been successful for Time Warner, its owner. Now you see how Netflix makes informed decisions based on data. Clearly, data cannot make every decision; there are some situations where intuition has to take over. For instance, data could not predict that a show like Breaking Bad would be a success. The creator was a former writer on The X-Files, and dramas are 50/50. In these cases, decisions are heavily based on the people and team behind the idea of the show. Whether Netflix can make a successful show like this (one with little to no data) is yet to be seen. Do you have data to help you make decisions? If not, Netflix provides a good case for why you should do so. About the Author: Zach Bulygo is the Blog Manager for Kissmetrics, you can find him on Twitter here. 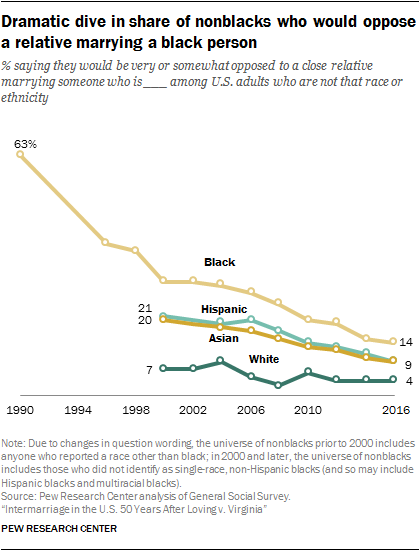 In 2015, 17% of all U.S. newlyweds had a spouse of a different race or ethnicity, marking more than a fivefold increase since 1967, when 3% of newlyweds were intermarried, according to a new Pew Research Center analysis of U.S. Census Bureau data.2 In that year, the U.S. Supreme Court in the Loving v. Virginia case ruled that marriage across racial lines was legal throughout the country. 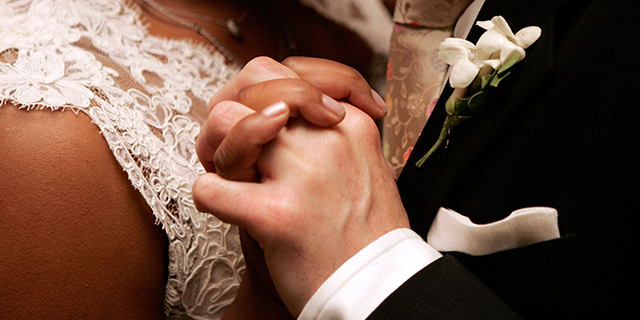 Until this ruling, interracial marriages were forbidden in many states. More broadly, one-in-ten married people in 2015 – not just those who recently married – had a spouse of a different race or ethnicity. This translates into 11 million people who were intermarried. The growth in intermarriage has coincided with shifting societal norms as Americans have become more accepting of marriages involving spouses of different races and ethnicities, even within their own families. 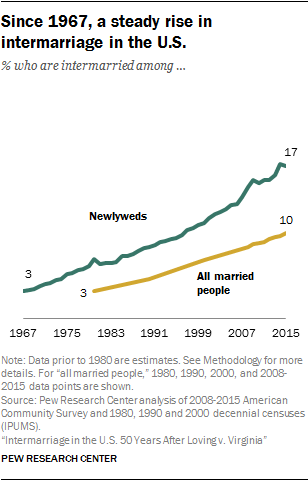 The most dramatic increases in intermarriage have occurred among black newlyweds. Since 1980, the share who married someone of a different race or ethnicity has more than tripled from 5% to 18%. White newlyweds, too, have experienced a rapid increase in intermarriage, with rates rising from 4% to 11%. However, despite this increase, they remain the least likely of all major racial or ethnic groups to marry someone of a different race or ethnicity. Asian and Hispanic newlyweds are by far the most likely to intermarry in the U.S. About three-in-ten Asian newlyweds3 (29%) did so in 2015, and the share was 27% among recently married Hispanics. For these groups, intermarriage is even more prevalent among the U.S. born: 39% of U.S.-born Hispanic newlyweds and almost half (46%) of U.S.-born Asian newlyweds have a spouse of a different race or ethnicity. Among blacks, intermarriage is twice as prevalent for male newlyweds as it is for their female counterparts. While about one-fourth of recently married black men (24%) have a spouse of a different race or ethnicity, this share is 12% among recently married black women. There are dramatic gender differences among Asian newlyweds as well, though they run in the opposite direction – Asian women are far more likely to intermarry than their male counterparts. 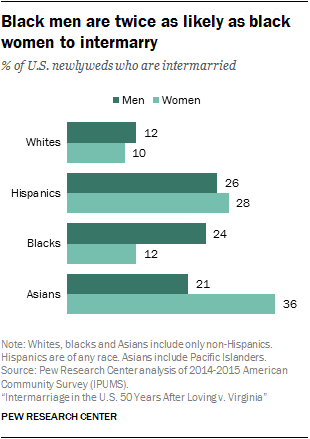 In 2015, just over one-third (36%) of newlywed Asian women had a spouse of a different race or ethnicity, compared with 21% of newlywed Asian men. In contrast, among white and Hispanic newlyweds, the shares who intermarry are similar for men and women. Some 12% of recently married white men and 10% of white women have a spouse of a different race or ethnicity, and among Hispanics, 26% of newly married men and 28% of women do. The rapid increases in intermarriage rates for recently married whites and blacks have played an important role in driving up the overall rate of intermarriage in the U.S. However, the growing share of the population that is Asian or Hispanic, combined with these groups’ high rates of intermarriage, is further boosting U.S. intermarriage overall. 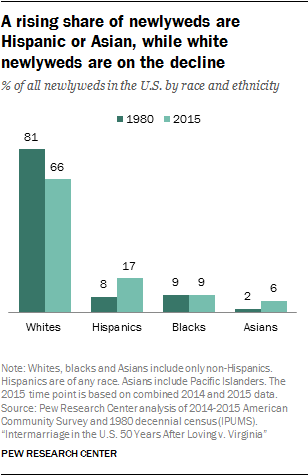 Among all newlyweds, the share who are Hispanic has risen by 9 percentage points since 1980, and the share who are Asian has risen 4 points. Meanwhile, the share of newlyweds who are white has dropped by 15 points. Attitudes about intermarriage are changing as well. 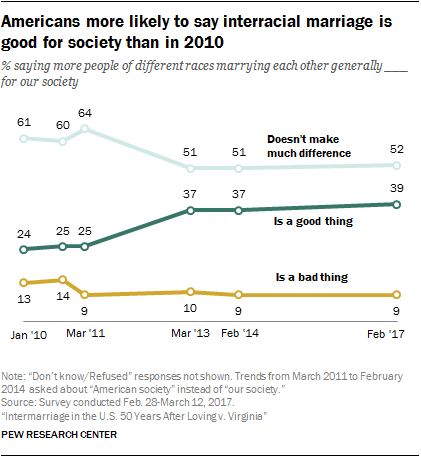 In just seven years, the share of adults saying that the growing number of people marrying someone of a different race is good for society has risen 15 points, to 39%, according to a new Pew Research Center survey conducted Feb. 28-March 12, 2017. The decline in opposition to intermarriage in the longer term has been even more dramatic, a new Pew Research Center analysis of data from the General Social Survey has found. In 1990, 63% of nonblack adults surveyed said they would be very or somewhat opposed to a close relative marrying a black person; today the figure stands at 14%. Opposition to a close relative entering into an intermarriage with a spouse who is Hispanic or Asian has also declined markedly since 2000, when data regarding those groups first became available. The share of nonwhites saying they would oppose having a family member marry a white person has edged downward as well. In 1980, the rate of intermarriage did not differ markedly by educational attainment among newlyweds. Since that time, however, a modest intermarriage gap has emerged. In 2015, 14% of newlyweds with a high school diploma or less were married to someone of a different race or ethnicity, compared with 18% of those with some college and 19% of those with a bachelor’s degree or more. The educational gap is most striking among Hispanics: While almost half (46%) of Hispanic newlyweds with a bachelor’s degree were intermarried in 2015, this share drops to 16% for those with a high school diploma or less – a pattern driven partially, but not entirely, by the higher share of immigrants among the less educated. Intermarriage is also slightly more common among black newlyweds with a bachelor’s degree (21%) than those with some college (17%) or a high school diploma or less (15%). Among recently married Asians, however, the pattern is different – intermarriage is far more common among those with some college (39%) than those with either more education (29%) or less education (26%). Among white newlyweds, intermarriage rates are similar regardless of educational attainment. 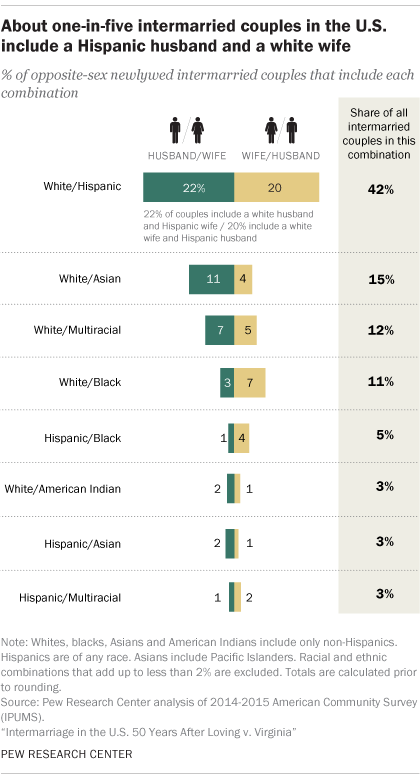 The most common racial or ethnic pairing among newlywed intermarried couples is one Hispanic and one white spouse (42%). Next most common are one white and one Asian spouse (15%) and one white and one multiracial spouse (12%). Newlyweds living in metropolitan areas are more likely to be intermarried than those in non-metropolitan areas (18% vs. 11%). This pattern is driven entirely by whites; Hispanics and Asians are more likely to intermarry if they live in non-metro areas. The rates do not vary by place of residence for blacks. Among black newlyweds, the gender gap in intermarriage increases with education: For those with a high school diploma or less, 17% of men vs. 10% of women are intermarried, while among those with a bachelor’s degree, black men are more than twice as likely as black women to intermarry (30% vs. 13%). 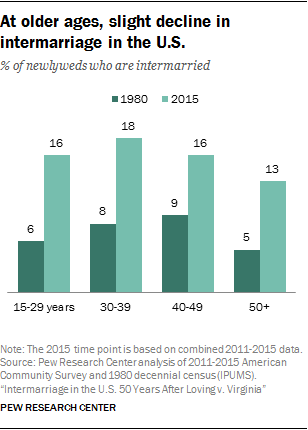 Among newlyweds, intermarriage is most common for those in their 30s (18%). Even so, 13% of newlyweds ages 50 and older are married to someone of a different race or ethnicity. There is a sharp partisan divide in attitudes about interracial marriage. Roughly half (49%) of Democrats and independents who lean to the Democratic Party say the growing number of people of different races marrying each other is a good thing for society. 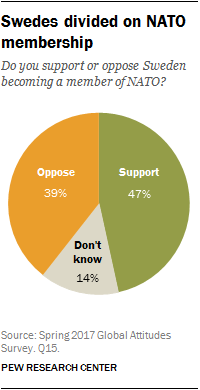 Only 28% of Republicans and Republican-leaning independents share that view. All told, more than 670,000 newlyweds in 2015 had recently entered into a marriage with someone of a different race or ethnicity. By comparison, in 1980, the first year for which detailed data are available, about 230,000 newlyweds had done so. The long-term annual growth in newlyweds marrying someone of a different race or ethnicity has led to dramatic increases in the overall number of people who are presently intermarried – including both those who recently married and those who did so years, or even decades, earlier. In 2015, that number stood at 11 million – 10% of all married people. The share has tripled since 1980, when 3% of married people – about 3 million altogether – had a spouse of a different race or ethnicity. Overall increases in intermarriage have been fueled in part by rising intermarriage rates among black newlyweds and among white newlyweds. The share of recently married blacks with a spouse of a different race or ethnicity has more than tripled, from 5% in 1980 to 18% in 2015. Among recently married whites, rates have more than doubled, from 4% up to 11%. At the same time, intermarriage has ticked down among recently married Asians and remained more or less stable among Hispanic newlyweds. Even though intermarriage has not been increasing for these two groups, they remain far more likely than black or white newlyweds to marry someone of a different race or ethnicity. About three-in-ten Asian newlyweds (29%) have a spouse of a different race or ethnicity. The same is true of 27% of Hispanics. For newly married Hispanics and Asians, the likelihood of intermarriage is closely related to whether they were born in the U.S. or abroad. Among the half of Hispanic newlyweds who are immigrants, 15% married a non-Hispanic. In comparison, 39% of the U.S. born did so. 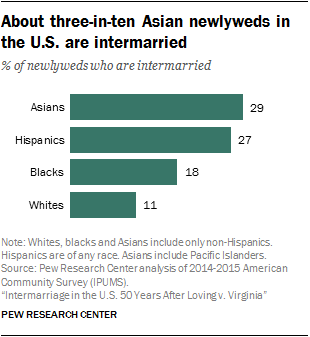 The pattern is similar among Asian newlyweds, three-fourths of whom are immigrants. While 24% of foreign-born Asian newlyweds have a spouse of a different race or ethnicity, this share rises to 46% among the U.S. born. Significant growth in the Hispanic and Asian populations in the U.S. since 1980, coupled with the high rates of intermarriage among Hispanic and Asian newlyweds, has been an important factor driving the rise in intermarriage. Since that time, the share of all newlyweds that were Hispanic rose 9 percentage points, from 8% to 17%, and the share that were Asian grew from 2% to 6%. At the same time, the share of white newlyweds declined by 15 points and the share of black newlyweds held steady. The size of each racial and ethnic group can also influence intermarriage rates by affecting the pool of potential marriage partners in the “marriage market,” which consists of all newlyweds and all unmarried adults combined.5 For example, whites, who comprise the largest share of the U.S. population, may be more likely to marry someone of the same race simply because most potential partners are white. And members of smaller racial or ethnic groups may be more likely to intermarry because relatively few potential partners share their race or ethnicity. But size alone cannot totally explain intermarriage patterns. Hispanics, for instance, made up 17% of the U.S. marriage market in 2015, yet their newlywed intermarriage rates were comparable to those of Asians, who comprised only 5% of the marriage market. And while the share of the marriage market comprised of Hispanics has grown markedly since 1980, when it was 6%, their intermarriage rate has remained stable. Perhaps more striking – the share of blacks in the marriage market has remained more or less constant (15% in 1980, 16% in 2015), yet their intermarriage rate has more than tripled. While there is no overall gender difference in intermarriage among newlyweds6, starkly different gender patterns emerge for some major racial and ethnic groups. One of the most dramatic patterns occurs among black newlyweds: Black men are twice as likely as black women to have a spouse of a different race or ethnicity (24% vs. 12%). This gender gap has been a long-standing one – in 1980, 8% of recently married black men and 3% of their female counterparts were married to someone of a different race or ethnicity. A significant gender gap in intermarriage is apparent among Asian newlyweds as well, though the gap runs in the opposite direction: Just over one-third (36%) of Asian newlywed women have a spouse of a different race or ethnicity, while 21% of Asian newlywed men do. A substantial gender gap in intermarriage was also present in 1980, when 39% of newly married Asian women and 26% of their male counterparts were married to someone of a different race or ethnicity. Among Asian newlyweds, these gender differences exist for both immigrants (15% men, 31% women) and the U.S. born (38% men, 54% women). While the gender gap among Asian immigrants has remained relatively stable, the gap among the U.S. born has widened substantially since 1980, when intermarriage stood at 46% among newlywed Asian men and 49% among newlywed Asian women. Among white newlyweds, there is no notable gender gap in intermarriage – 12% of men and 10% of women had married someone of a different race or ethnicity in 2015. The same was true in 1980, when 4% of recently married men and 4% of recently married women had intermarried. As is the case among whites, intermarriage is about equally common for newlywed Hispanic men and women. In 2015, 26% of recently married Hispanic men were married to a non-Hispanic, as were 28% of their female counterparts. These intermarriage rates have changed little since 1980. The same patterns and trends emerge when looking separately at newlywed men and women; there are no overall gender differences in intermarriage by educational attainment. In 2015, 13% of recently married men with a high school diploma or less and 14% of women with the same level of educational attainment had a spouse of another race or ethnicity, as did 19% of recently married men with some college and 18% of comparable women. Among newlyweds with a bachelor’s degree, 20% of men and 18% of women were intermarried. The association between intermarriage and educational attainment among newlyweds varies across racial and ethnic groups. For instance, among Hispanic newlyweds, higher levels of education are strongly linked with higher rates of intermarriage. While 16% of those with a high school diploma or less are married to a non-Hispanic, this share more than doubles to 35% among those with some college. And it rises to 46% for those with a bachelor’s degree or higher. This pattern may be partly driven by the fact that Hispanics with low levels of education are disproportionately immigrants who are in turn less likely to intermarry. However, rates of intermarriage increase as education levels rise for both the U.S. born and the foreign born: Among immigrant Hispanic newlyweds, intermarriage rates range from 9% among those with a high school diploma or less up to 33% for those with a bachelor’s degree or more; and among the U.S. born, rates range from 32% for those with a high school diploma or less up to 56% for those with a bachelor’s degree or more. For black newlyweds, intermarriage rates are slightly higher among those with a bachelor’s degree or more (21%). Among those with some college, 17% have married someone of a different race or ethnicity, as have 15% of those with a high school diploma or less. Intermarriage has risen dramatically at all education levels for blacks, with the biggest proportional increases occurring among those with the least education. In 1980, just 5% of black newlyweds with a high school diploma or less had intermarried – a number that has since tripled. Rates of intermarriage have more than doubled at higher education levels, from 7% among those with some college experience and 8% among those with a bachelor’s degree. Among black newlyweds, there are distinct gender differences in intermarriage across education levels. In 2015, the rate of intermarriage varied by education only slightly among recently married black women: 10% of those with some college or less had intermarried compared with 13% of those with a bachelor’s degree or more. Meanwhile, among newly married black men, higher education is clearly associated with higher intermarriage rates. While 17% of those with a high school diploma or less had a spouse of a different race or ethnicity in 2015, this share rose to 24% for those with some college and to 30% for those with a bachelor’s degree or higher. While intermarriage is associated with higher education levels for Hispanics and blacks, this is not the case among Asian newlyweds. Those with some college are by far the most likely to have married someone of a different race or ethnicity – 39% in 2015 had done so, compared with about one-fourth (26%) of those with only a high school diploma or less and 29% of those with a bachelor’s degree. This pattern reflects dramatic changes since 1980. At that time, Asians with a high school diploma or less were the most likely to intermarry; 36% did so, compared with 32% of those with some college and 25% of those with a bachelor’s degree. There are sizable gender gaps in intermarriage across all education levels among recently married Asians, with the biggest proportional gap occurring among those with a high school diploma or less. Newlywed Asian women in this category are more than twice as likely as their male counterparts to have a spouse of a different race or ethnicity (36% vs. 14%). The gaps decline somewhat at higher education levels, but even among college graduates, 36% of women are intermarried compared with 21% of men. Among white newlyweds, the likelihood of intermarrying is fairly similar regardless of education level. One-in-ten of those with a high school diploma or less have a spouse of another race or ethnicity, as do 11% of those with some college experience and 12% of those with at least a bachelor’s degree. Rates don’t vary substantially among white newlywed men or women with some college or less, though men with a bachelor’s degree are somewhat more likely to intermarry than comparable women (14% vs. 10%). Nearly one-in-five newlyweds in their 30s (18%) are married to someone of a different race or ethnicity, as are 16% of those in their teens or 20s and those in their 40s. Among newlyweds ages 50 and older, many of whom are likely remarrying, the share intermarried is a bit lower (13%). The lower rate of intermarriage among older newlyweds in 2015 is largely attributable to a lower rate among women. While intermarriage rates ranged from 16% to 18% among women younger than 50, rates dropped to 12% among those 50 and older. Among recently married men, however, intermarriage did not vary substantially by age. Intermarriage varies little by age for white and Hispanic newlyweds, but more striking patterns emerge among black and Asian newlyweds. While 22% of blacks ages 15 to 29 are intermarried, this share drops incrementally, reaching a low of 13% among those ages 50 years or older. Among Asian newlyweds, a different pattern emerges. Intermarriage rises steadily from 25% among those ages 15 to 29 years to 42% among those in their 40s. For those 50 years and older, however, the rate drops to 32%. A closer look at intermarriage among Asian newlyweds reveals that the overall age pattern of intermarriage – with the highest rates among those in their 40s – is driven largely by the dramatic age differences in intermarriage among newly married Asian women. More than half of newlywed Asian women in their 40s intermarry (56%), compared with 42% of those in their 30s and 46% of those 50 and older. Among Asian newlywed women younger than 30, 29% are intermarried. Among recently married Asian men, the rate of intermarriage doesn’t vary as much across age groups: 26% of those in their 40s are intermarried, compared with 20% of those in their 30s and those 50 and older. Among Asian newlywed men in their teens or 20s, 18% are intermarried. Though the overall rate of intermarriage does not differ markedly by age among white newlyweds, a gender gap emerges at older ages. While recently married white men and women younger than 40 are about equally likely to be intermarried, a 4-point gap emerges among those in their 40s (12% men, 8% women), and recently married white men ages 50 and older are about twice as likely as their female counterparts to be married to someone of a different race or ethnicity (11% vs. 6%). A similar gender gap in intermarriage emerges at older ages for Hispanic newlyweds. However, in this case it is newly married Hispanic women ages 50 and older who are more likely to intermarry than their male counterparts (32% vs. 26%). Among black newlyweds, men are consistently more likely than women to intermarry at all ages. Intermarriage is more common among newlyweds in the nation’s metropolitan areas, which are located in and around large urban centers, than it is in non-metro areas9, which are typically more rural. About 18% of those living in a metro area are married to someone of a different race or ethnicity, compared with 11% of those living outside of a metro area. In 1980, 8% of newlyweds in metro areas were intermarried, compared with 5% of those in non-metro areas. There are likely many reasons that intermarriage is more common in metro areas than in more rural areas. Attitudinal differences may play a role. In urban areas, 45% of adults say that more people of different races marrying each other is a good thing for society, as do 38% of those living in suburban areas (which are typically included in what the Census Bureau defines as metro areas). Among people living in rural areas, which are typically non-metro areas, fewer (24%) share this view. Another factor is the difference in the racial and ethnic composition of each type of area. Non-metro areas have a relatively large share of white newlyweds (83% vs. 62% in metro areas), and whites are far less likely to intermarry than those of other races or ethnicities. At the same time, metro areas have larger shares of Hispanics and Asians, who have very high rates of intermarriage. While 26% of newlyweds in metro areas are Hispanic or Asian, this share is 10% for newlyweds in non-metro areas. The link between place of residence and intermarriage varies dramatically for different racial and ethnic groups. The increased racial and ethnic diversity of metro areas means that the supply of potential spouses, too, will likely be more diverse. This fact may contribute to the higher rates of intermarriage for white metro area newlyweds, since the marriage market includes a relatively larger share of people who are nonwhite. Indeed, recently married whites are the only major group for which intermarriage is higher in metro areas. White newlyweds in metro areas are twice as likely as those in non-metro areas to have a spouse of a different race or ethnicity (12% vs. 6%). In contrast, for Asians, the likelihood of intermarrying is higher in non-metro areas (47%) than metro areas (28%), due in part to the fact that the share of Asians in the marriage market is lower in non-metro areas. The same holds true among Hispanics. About one-third (32%) of Hispanic newlyweds in non-metro areas are intermarried compared with 25% in metro areas. Among black newlyweds, intermarriage rates are identical for those living in metro and non-metro areas (18% each), even though blacks are a larger share of the marriage market in metro areas than in non-metro areas. While the bulk of this report focuses on patterns of intermarriage among all newly married individuals, shifting the analysis to the racial and ethnic composition of intermarried newlywed couples shows that the most prevalent form of intermarriage involves one Hispanic and one white spouse (42%). While this share is relatively high, it marks a decline from 1980, when more than half (56%) of all intermarried couples included one Hispanic and one white person. The next most prevalent couple type in 2015 among those who were intermarried included one Asian and one white spouse (15%). Couples including one black and one white spouse accounted for about one-in-ten (11%) intermarried couples in 2015, a share that has held more or less steady since 1980. That intermarriage patterns vary by gender becomes apparent when looking at a more detailed profile of intermarried couples that identifies the race or ethnicity of the husband separately from the race or ethnicity of the wife. A similar share of intermarried couples involve a white man and a Hispanic woman (22%) as involve a white woman and a Hispanic man (20%). However, more notable gender differences emerge for some of the other couple profiles. For instance, while 11% of all intermarried couples involve a white man and an Asian woman, just 4% of couples include a white woman and an Asian man. And while about 7% of intermarried couples include a black man and a white woman, only 3% include a black woman and a white man.